After living here in San Jose, Ca. for the last 10 years I noticed we don't have many bees in our area. As is well be reported, our honey bee population is in decline. I noticed, while tending my garden that I didn’t have very many bees around, so I decided to get a hive to pollinate my garden. 8 months later, I have Mango Blossom Apiary! I started keeping beehives in my backyard June '18 and have had great success, not only with honey but with all the flowers, fruits and vegetable plants in my yard as well as my neighbors! It's a lot of fun watching he bees going to and from, building their community and raising brood after brood. (Did you know a honeybee only lives 6 weeks and that it takes approximately 22,700 bees to fly 32,000 miles to 2,500,000 flowers to make us 16oz. of honey?) I'd also show you what I'm doing when I'm working the hives. I "work" the hives about 1 or twice a month. If you're interested, I'll come out and see if your spot is a good one. I will need to access the area once or twice a month but will give you a heads up. If you're interested and would like more information, contact me. My Plan is to reach out to prospective neighbors and see if they are interested in allowing my apiary to put a hive or 2 on their yard or on their property. 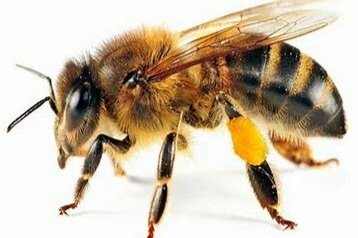 I will supply each neighbor with 1 or 2 complete hives, including a colony of honey bees and laying queen. I will then be solely responsible for working the hive as needed. If any neighbors are interested in learning more about becoming a beekeeper, all accommodations will be made to include them in any working of the hives and supplying any information possible. I will use a part of this grant to increase my apiary. Each hive costs about 180.00 and that year bees are 150.00 a package. I'm hoping to place at least 10 hives. All local beekeeping rules and regulations will be followed and conveyed to each neighbor. Please donate and share in my vision of a community with a healthy honey bee population! I've gotten my first hive ready to be placed. Please help me raise the money to make my goal of 10 hives.